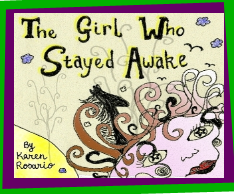 This book is a charming tale that will appeal to young children as a bedtime read aloud. Children six and up will enjoy reading it for the adventure and learning element. It is a fantasy trip every young boy and girl would love to have the opportunity to experience. 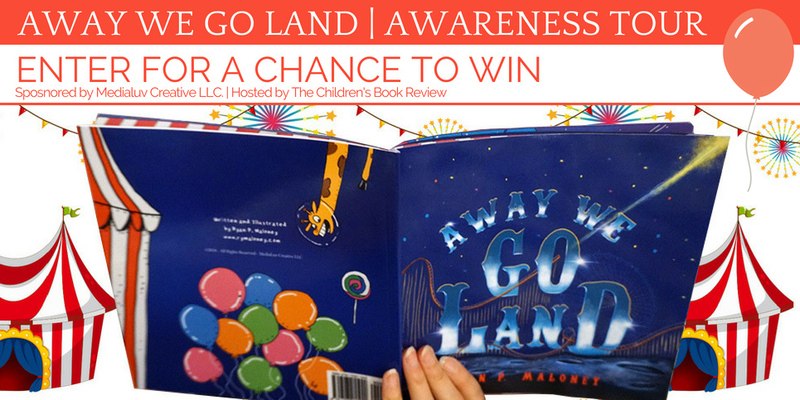 While the illustrations are stylized, they are bold, large, and extremely colorful making them appealing to a very young child. Even though the train is moving fast and the ride is a wild one, this does not come across as a scary story. It is interesting to note that the children are worried about what their mom would say about not having coats to keep them warm at night and catching a cold when out in a rainstorm. Dolly warns Timmy, “Don’t look directly into the sun or you will hurt your eyes.” So the author displays a parent’s perspective as well as the child’s viewpoint. At the beginning of the story Timmy and his sister Nelly are in bed sleeping with their teddy bear and doll beside them. On the floor lying next to them the family dog and cat are sound asleep. Suddenly, they are awakened by the barking of the dog and the sound of a train. 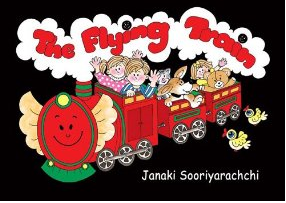 The flying train arrives at the window urging them to come aboard. Their trip involves some fantasy elements like fairies flying through the sky and little grey men that look like robots waving to them from Mars. On the other hand, the author manages to introduce a lot of knowledge about weather, the sun and the planets. The siblings learn that it is very cold in the sky, that the moon reflects the light of the sun, the sun gives us light and keeps the planet warm, and that there are many other stars in the sky that are really stars like “our” sun. Their flying train is out of control and crashes into a rain cloud. The children are frightened by the thunder and wind. They see all the planets revolving around the sun. As the out of control train nears the sun, Timmy and Nelly can feel scorching heat from the ball of fire. How will they be able to escape? Will they find a way to return to earth or are they doomed to be lost in space forever? 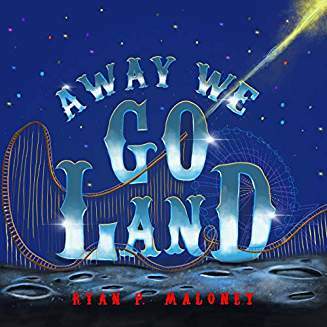 This book is available as a pdf on freekidsbooks.org or may be purchased online from amazon.com. If you enjoyed reading this post, please subscribe to my biweekly blog by clicking on the follow botton at the bottom right of the screen or the orange RSS feed button on the top right.